Chili, Beer, Holiday Cheer, & 2019 Adventure Bike Premiere! Introducing the newest models to the BMW adventure lineup: F 750 GS, F 850 GS, and the much anticipated R1250 GS! We will celebrate this monumental occasion by hosting a special Winter Open House* with complimentary food, beverages, prizes, and a presentation on the evolution of the GS. The original R80GS will be on display alongside additional GS models from the past, all the way through to the all new 2019 models. We will take a close look at then and now, exploring the evolution of BMW’s adventure lineup. Test rides will be available along with a chance to win some BIG and EXCITING door prizes! We hope to see you there! 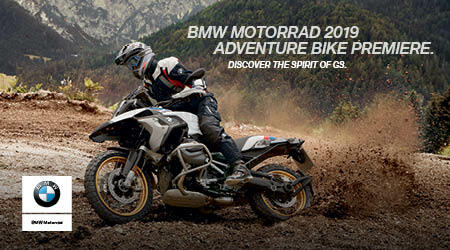 *NOTE: We are combining our annual Holiday Cheer event with the National BMW Motorrad Adventure Bike Premiere.